Do you have ADHD and wonder if there are scholarships available for college? Use these tips for looking for scholarship opportunities, including those for people with ADHD. 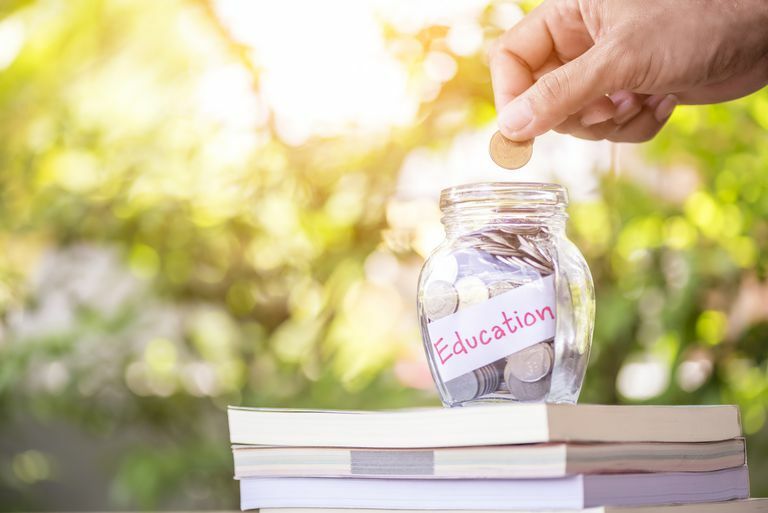 When you are searching for ADHD scholarships for college, be sure to widen your search to include scholarships available for learning disabilities. You may also want to explore private scholarships that have nothing to do with your ADHD. For example, you might be eligible for scholarships depending on your study interests and career goals, ethnic background, religious affiliation, extracurricular activities, military experience and your parents’ place of employment. If you are employed or volunteering, ask your company if they offer scholarships. Many organizations such as the Lions Club, Kiwanis Club, Rotary International, Elks Club, Boy Scouts, and Girl Scouts also offer scholarships. Major labor unions such as the AFL-CIO and Teamsters offer scholarships for members and their dependent children. Your church or synagogue may even have scholarships. Check with your Chamber of Commerce to see what they may have available, as well. Your local state Vocational Rehabilitation (VR) agency is another resource that may be able to assist in your scholarship search. See State Vocational Rehabilitation Agencies to find the contact information for your state VR office. The Financial Aid office at the colleges you are considering is often the best resource for scholarship information. These financial aid counselors will be familiar with local, state, and private sources of funding. You can also try general scholarship search engines on the Internet such as Fast Web, Scholarship.com, Peterson’s Scholarship Search, and College Board's Scholarship Search. These are scholarship programs that have been available to students with ADHD. Requirements and availability can change yearly. Check their websites for current details. The Anne Ford Scholarship is a $10,000 scholarship ($2,500/year over four years) granted to a graduating high school senior with a documented learning disability who will be enrolled in a full-time bachelor’s degree program in the fall. The Allegra Ford Thomas Scholarship is a $2,500 one-time scholarship awarded to a graduating high school senior with a documented learning disability who will be enrolled in a two-year community college, a vocational or technical training program, or a specialized program for students with LD in the fall. This award recognizes the strengths and accomplishments of young people with learning disabilities and ADHD. It will be given to a student 19 or younger who has demonstrated initiative, talent, and determination resulting in a notable accomplishment in any field—including art, music, science, math, athletics or community service. Honorable Mentions are also be awarded. The Incight Go-Getter Scholarship is an award that is renewable each year and is for students with physical, learning, cognitive, hearing or visual disabilities who are attending college in Oregon or SW Washington. Available to Iowa high school seniors. The Learning Disabilities Association of Iowa awards three scholarships to Iowa high school seniors with learning disabilities. To be eligible for the Marion Huber Learning Through Listening Award applicant must have a specific learning disability, be registered with Recording for the Blind and Dyslexic (RFB&D) for at least one year prior to application, demonstrate leadership, enterprise, and service skills, and have an overall minimum "B" grade average. Scholarships are awarded to one or more high school seniors with financial need, a certified specific language-related learning disability, and artistic talent who plan a career in visual arts. Scholarships are potentially renewable for up to three additional years. Nominations for the P. Buckley Moss Endowed Scholarship can be made only by members of the P. Buckley Moss Society. Available to Arkansas residents only, the Ralph G. Norman Scholarship fund was established to provide assistance to young adults with learning disabilities so they may obtain success in furthering their education. Two scholarships are awarded. RiSE is a non-profit foundation that serves as a resource for high school students with learning disabilities. High school students across the country can apply for a national scholarship. Available to students who enroll in a State University System of Florida institution. The Johnson Scholarship, funded by the Johnson Scholarship Foundation, is a competitively awarded program which is available to undergraduate students with disabilities with financial need who enroll in a State University System of Florida (SUS) institution.